Wedding Videographer for Caroline and Mauricio – 2’nd April 2011. 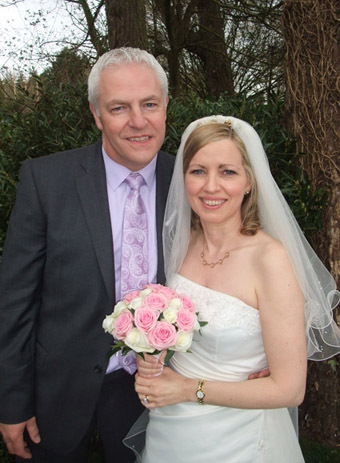 I was out on the wedding of Caroline & Mauricio on Saturday the 2nd April, the mass was in St Patrick’s in the Picturesque area of Enniskerry, I have worked in this church many times before and it is a beautiful church. The wedding started at the church with Maurizio and his Italian guest’s chatting and greeting everyone. The mass was celebrated by Archdeacon Ricky Rountree, he was excellent and made both myself and the photographer Janet Gillanders from Dundalk feel very welcome. 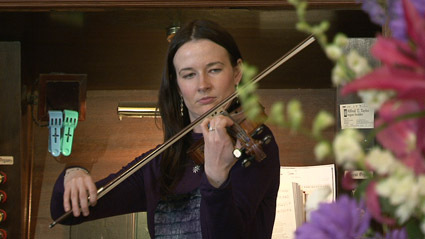 The beautiful music was by Singer Emer and the violin & organ by Mary Mc Cague, they complimented each other beautifully. 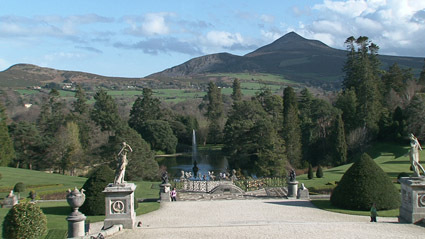 We headed to the famous Powerscourt were they were waiting to receive us and special thanks to Josh and Annette from Feast Catering who had everything running like clockwork. The photographer and myself had the pleasure of tasting the wonderful food as they so kindly gave us each a dinner and it was lovely. A fantastic day and night had by all. 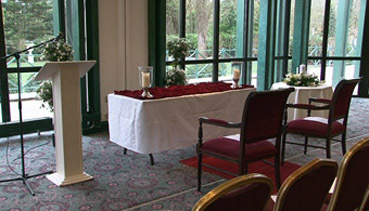 I videoed the wedding of Ann Marie Mc Gettrick & Ernie Leslie on Friday 1’st April 2011, in the Keadeen it was a civil ceremony and the place was beautiful. The wedding started with Ernie making the finer arrangements with the Registrar and their wedding reception organizer Joe who had everything running smoothly. We had the Registrar, Bernadette Jacob who was very nice and made it very easy for me to facilitate the recording of the ceremony. We then had Fr Jimmy Doyle who added the church touch with a short service of his own, it was a lovely service. The music was just out of this world and the Magnolia room in the Keadeen was stunning to add to the fantastic atmosphere. The day was not bad a little cool so most of the pictures were taken indoors by Val Sheen a colleague of the groom who did a lovely job. We then danced the night away. We all had a fabulous day.